Deck chairs and competitive advantage? German tourists can now reserve their poolside recliners before they have even left home. The German arm of Thomas Cook, Europe’s second largest travel company, has been deluged with inquiries since announcing that holidaymakers at nine hotels in Turkey, Egypt and the Canary Islands can book recliners in advance for a fee. Germans are famous around Europe for rising early to reserve recliners near the pool with their towels, and then going back to bed or eating a lengthy breakfast. This often annoys tourists from other nations, but they will be unable to take advantage of the new service — it is valid only for holidaymakers booking their trips from Germany, Mathias Brandes, head of communications at Thomas Cook in Germany, said. I’m not sure this would be particularly good for international poolside relations. I should write some clever link to global HR systems, and the problems of trying to please everyone all of the time, but I won’t. Author Thomas OtterPosted on July 26, 2009 Categories Germany1 Comment on Deck chairs and competitive advantage? Sometime ago Suw kicked this off . Well. Here we go. For this I have decided to go local and historical. Ladenburg, where I live, is one of the cradles of the automotive industry. It is where the Benz family lived. My Ada figure is Bertha Benz. 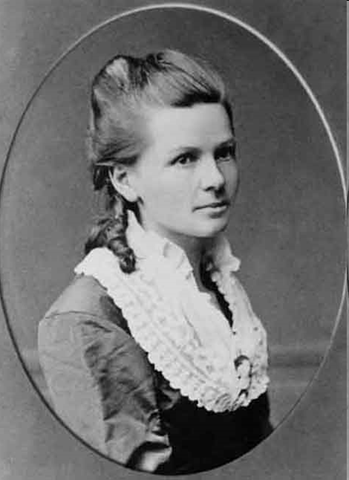 Bertha Benz (née Ringer) (born 3 May 1849 in Pforzheim, Germany, married inventor Karl Benz on 20 July 1872, and died 5 May 1944 in Ladenburg), was the first person to drive an automobile over a long distance. Other interesting information about that trip. She repaired a fuel line blockage with a hairpin, and fixed the ignition with a garter. Without this expedition, it is quite unlikely that Karl Benz would have had the successes that followed. She took on the conventions of the time and proved to the world that this newfangled thing had a purpose. Not only was this brave, but I reckon it was one of the greatest advertising and marketing moves in history. With this one trip, she turned the Patent Motorwagen 3 from perpetual beta into the real thing. Just think what impact this would have had on the male ego of 1888. It seems to me that this was a family business, and Bertha deserves just as much credit as Karl got. There is now a sign posted route following that first drive. This is goodness, but next time you see a Mercedes-Benz, pause, and think about Bertha. As the automotive industry now faces its biggest crisis, it would do well to look to Bertha Benz’s legacy for inspiration. Thanks Bertha for taking that drive.